My brother and I brought our nephews to the barber for their regular haircut. I saw these blooming red flowers and just had to take out my Sony Cybershot camera phone again. And one of the photos was taken by my 5 years old niece. Sony Cybershot camera phone is indeed quite easy to use. I just have to give my 5 years old niece some simple instructions and I was amazed at how her shot turned out. Could you tell which shot was taken by my 5 years old niece? And what is your reason for choosing the particular shot? Now to unveil the mystery: The second one is the one taken by my 5 years old niece. Some of you have made a logical guess that the first photo is the one taken by my niece as children like close up. You could have been right if not for a small drain between the flower and my niece. Her arms were not long enough to get a close up at the flower. There were some of you who guessed the second one because there are more details in the first shot. I must say you are absolutely right as I had intentionally gone up very close to the flower and set the macro mode to take the shot. Yes, the Sony Cybershot camera phone has a macro mode that allows you to take decent close up shot. Join any Discount Dental Plan and get a FREE Discount Vision Plan! 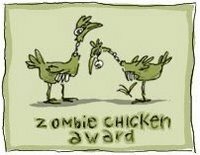 Thank you Jack from Tom’s Cats for passing me the Zombie Chicken Award. Don’t know what is this award about. Beats me too! But when I read about this award at Tom’s Cats, I was humbled by what I read. I can only continue to strive to love and to inspire. I think the second one is shot by your niece. Because the first one is better zoomes and clicked and the second one seems like it has just been clicked without much adjustment like usually the small kids do. Nope…can’t tell…but it is a very beautiful flower! Both photos are great! I really can’t even tell which might have been taken by your niece! Sues last blog post..WW #50 – "First Bike Ride"
What an amazing photo. Your phone takes some really great pictures. You can’t even tell it was taken by a 5 year old. Looks like you might have a future photographer on you hands. Thanks so much for stopping by and your awesome comment on EC. Take care. Michelles last blog post..What Do You Think About The Changes At Entrecard? Oh I can’t wait until I have red blooms in my garden. I’m guessing the top photo. It looks to have been snapped from a lower angle than the bottom photo, suggesting a smaller person took it. 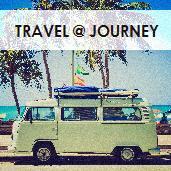 Marias last blog post..Wanna join me? Both shots are very very pretty. Shu Fens last blog post..I Read Dirty Harry Potter Fanfiction! @ Liza, good guess and very logical deductions. You are most welcome for the prayer; it is the least I can do. Those were taken by a phone?!! I need a new phone then. 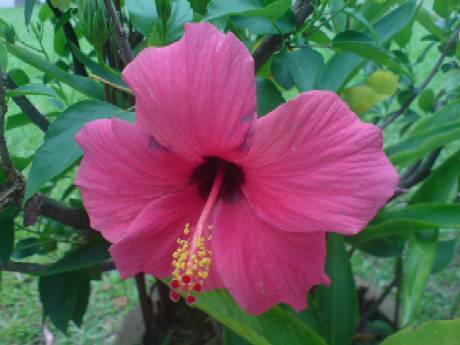 🙂 I would call it a Hibiscus, but I’ve looked up Gumamela and it’s the same thing. Don’t worry at all about my earlier comment going into spam and being deleted. I have all sorts of things happen when I try to moderate comments. It works differently every time! Lovely pix! I really like the color. Hey that’s beautiful. You know the spring can have it’s many benefits. No. However, my mother-in-law constantly beheaded the people she photographed. Maybe it was a message. The kids did better than her with simple cameras and disposables. The shot is beautiful. I must ask hubby to tech me about that setting so I can do a better job next time I visit the gardenias. 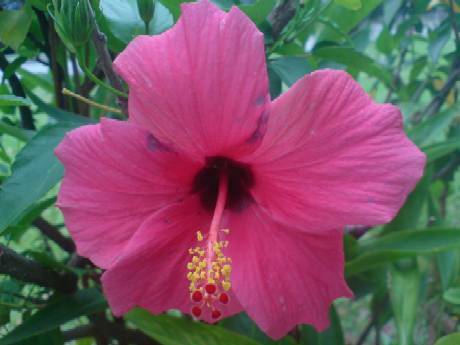 I love gumamela. We have a lot of that back in the Philippines. I think kids tend to take closer shots to get the shot right. Kids makes sense out of a lot of things.